Whether you’re choosing a wristwatch for yourself, or whether someone else is going to be the lucky recipient, it’s important to make the right decision. It’s amazing how many of us wander around wearing expensive watches and yet have absolutely no idea how they work or what to look for when purchasing one. So, with that in mind, here’s an ultimate guide to choosing the right wristwatch for a man, so you can make sure you get it right first time. The first word you’re going to need to know when researching watches is “movement”. This not only refers to the way its hands move around its face, it also refers to the inner mechanism which produces the effect. The movement of a watch is key to the way it functions and keeps time. There are three kinds of watch movement – quartz, automatic and mechanical. Mechanical watches are the most traditional of the three forms – the kind of watch your grandad had. They’re powered with a mainspring that you wind by hand. Once that mainspring has been wound up, it unwinds, evenly and slowly to make the second hand move smoothly around the face of the watch. An average mainspring measures around 9”-13”, and the longer it is, the longer the watch will keep running. It goes without saying that not ever mechanical movement watch is the same, and the more craftsmanship and attention to detail which has gone into making the timepiece will determine how accurately and smoothly it operates. Mechanical watches are traditional and feature intricate engineering that reflects true craftsmanship and heritage. Not only that, but you won’t ever have to replace the battery and you can enjoy that classic ticking sound that is so inspiring. On the downside, if you’re forgetful, a mechanical watch isn’t a great choice since you’ll probably end up forgetting to wind it so it’ll lose time. Also, this type of watch is very susceptible to environmental elements. Magnets, shocks, dust and moisture can wreck some mechanical watches. Although automatic watches are also powered with a mainspring, they don’t need you to wind it by hand. When you move your arm during the day, you’ll be winding it up automatically thanks to the rotor inside it, and as an added bonus, it won’t be able to over-wind thanks to the integrated slipping clutch. 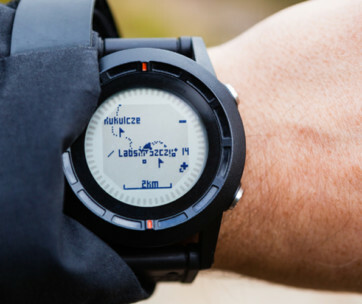 The advantages of this form of watch is that you won’t need to replace batteries or wind manually. You’ll also enjoy the smooth movements of the hands, however, in exactly the same way as mechanical watches, they can be hyper sensitive to environmental changes, and if you’re not wearing it, you’ll need to invest in a watch winder to keep it in running order. Most men these days are wearing a quartz watch, probably because they’re affordable and very accurate. Using electricity powered by a tiny battery, a quartz watch has a quartz crystal which vibrates very rapidly due to the electric current. These vibrations are converted to pulses which move the watch’s second hand, creating a distinctive ticking sound. Thanks to the limited moving parts and electric power, quartz watches are accurate and not as sensitive to the elements as a mechanical or automatic watch. They’re also low maintenance and very durable and if you want to keep your costs down, these are the watches for you. No, complications don’t have to be complicated, but they are extras that give you watch greater value than simply telling you the time. Some of the available complications on watches today include the date, the moon phases, alarms, repeaters and power reserve indicators and the chronograph which can perform the function of a stopwatch. If a watch features both a chronograph and tachymeter, it can be used to calculate a myriad of things such as fuel consumption, distance travelled and speed – ideal for guys who love details when they’re on the move. In general, the more casual and sporty a watch is, the more complications it will have. If you prefer dressy, sleek watches, skeleton watches, you may only have one, or even none. Dress watches were the original smart watch at the turn of the 19th century, when timepieces first made the move to the wrist from the pocket. Dress watches are sophisticated, sleek and simple. Usually slim, traditionally shaped and with a leather band, a dress watch will have little in the way of complications and a simple face. Perfect for formal occasions, a dress watch looks great with pretty much everything except the most casual outfits. 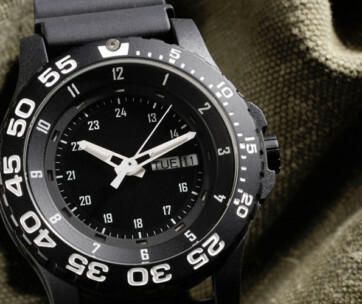 Evolving from the original trench watch, a field watch is functional and rugged while remaining stylish. 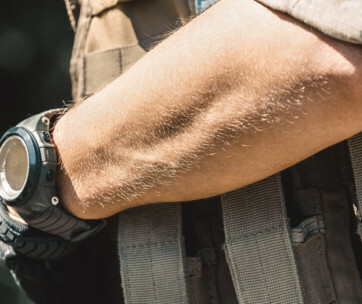 Usually quite small in size, a field watch has a functional face that is easy to read and a titanium or stainless-steel case as well as a strap made from canvas or leather. There will be little in the way of complications, and this watch is one of the most versatile choices, working perfectly with casual wear or business attire alike. Very popular with all kinds of guys, dive watches have been most notably worn by that most manly of all men, James Bond! Designed for use around the water, dive watches are, naturally, water resistant with straps and cases made from metals which are resistant to corrosion. Medium in size, they have an easy to read face, a rotating bezel, and minimal complications. Of course, dive watches can be worn under water, but they can also be worn every day with all kinds of clothing – including the 007 tuxedo! Pilot watches have no definitive style, however they are generally fairly large in size with an easy read face that is generally black with the numbers marked in white. 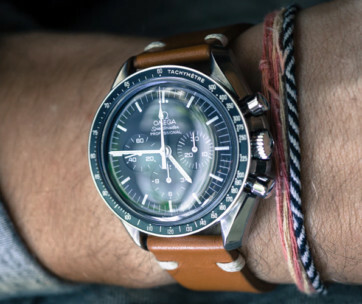 The strap is usually leather, and in terms of complications, you can expect to find the date, and possible a chronograph. Pilot watches work very well with casual attire but don’t look so great with a suit. Racing watches tend to be on the large side with a large face that is marked with clear numerals, often in bright colours. The case will generally be made from stainless-steel and the band is often metal or leather. You’ll usually find a chronograph and the date included as standard. Racing watches have a flashy appearance and work very well with casual gear. If you have tiny hands, wearing a gigantic faced (G-Shock) watch is just going to look ridiculous, and conversely, if you have larger wrists, you’re going to look like you’re wearing your girlfriend’s timepiece. You need a watch that works for your individual wrist circumference, and as a rule of thumb, if your wrist measures 6-7” in circumference, you need a case diameter of 38-42mm. For a wrist that has a circumference larger than 7”, you can choose a case between 44 and 46mm in width. Should You Buy An Expensive Watch? 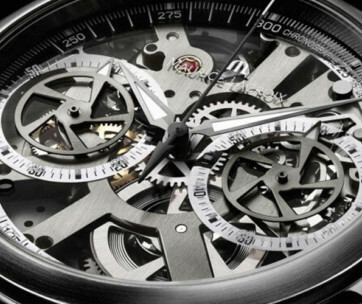 Depending on your budget, this could be the most important element in making your choice of timepiece. You need to choose the price range that suits your needs. If you have plenty of money to spend, you may well be attracted to an expensive Rolex Submariner, but you may also be asking if it can really be worth the extra money, and whether it can really be that much more effective at telling you the time than a cheap and cheerful watch that you can pick up from a discount store. 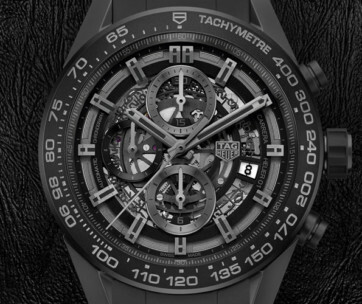 While your choice will very much depend on how much disposable income you have, you might want to bear in mind that luxury watches do boast some features that make them worth more than a cheap timepiece (under $1000). Often, they will be made from precious metals and will feature a watch face that is covered with high quality glass or sapphire. A luxury watch will also feature superior technology and will last longer and function more effectively. Add to that the fact that you’re getting a brand name which gives you a certain social status, and that could mean that a luxury branded watch is the right one for you. On the other hand, if you just can’t afford to invest in an expensive timepiece or if you’d rather spend your money elsewhere, you can still get a pretty good watch for a fraction of the price that will tell you the time very effectively, and which will be durable enough to last the distance. Choosing a watch that matches your budget and requirements is what matters in the long run.